Ch. Senejac has been on the periphery of my wine awareness for several years. Over the last few it has moved front and center. The quality seems to have improved. Maybe it is the Cordier family ownership. Maybe it has a bit to do with some consulting (now ended) from Alfred Tesseron of Ch. Pontet Canet. Maybe it is the very able winemaking team from Ch. Talbot (which goes back to that Cordier family ownership). 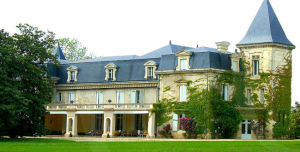 Whatever the case, Senejac has – for me at least – stepped up to the front of the line for high quality wine from the Haut Medoc. And it hits a a particular and useful style. I have tasted (and quite liked) this 2011 several times beginning in early April of 2012 and most recently (as of this posting) on July 1, 2014. Each time I taste it, I seem to think a bit more highly of it. 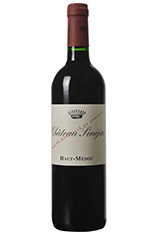 A Southern Medoc (between Bordeaux and Margaux) 13.5% alcohol blend of 51% Cabernet Sauvignon, 30% Merlot, 15% Cabernet Franc, and 4% Petite Verdot fermented using pump-over and aged 15 months in all French oak barrels (33% new). Red in color with well-formed legs; dry, medium-full-bodied with freshly balanced acidity and medium-plus phenolics along with impressive richness. Offers red & black cherry berry fruit with accents of black pepper, tobacco, dusty wood, black flowers. Quite long in the mouth. Opens up beautifully as it evolves in the glass. Satisfying and delicious. BearScore: 91.